Remote desktop allows you to control or use your computer from another computer on a network. Before you access your computer from some other computer on a network, you have to enable remote desktop on the computer that shall be accessed remotely. The remote desktop feature is disabled by default. There are also some third-party tools like team viewer which you can use for this purpose, but the free built-in remote desktop feature which ships with Windows 10 should be sufficient for most use cases. This tutorial covers how you can enable remote desktop on a computer running Windows 10. Step 1. Click on Windows icon from your keyboard and then type "remote access". Click on "Allow remote access to your computer”. Step 3. Check 'Allow remote connections to this computer'. Keep enabling 'Allow connections only from computers running Remote Desktop with Network Level Authentication'. Step 4. 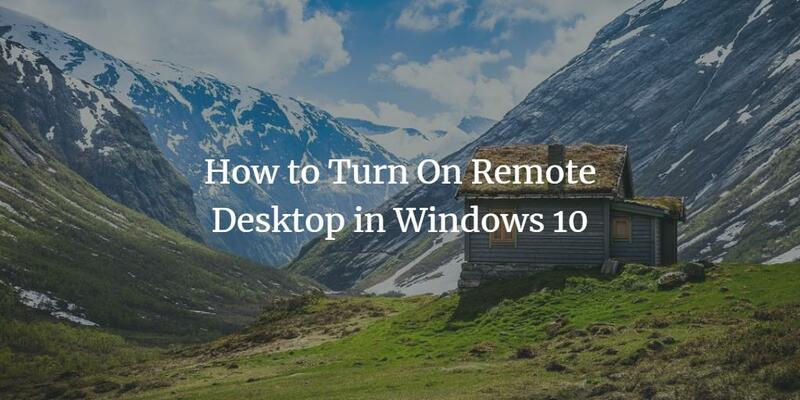 Click Apply and then OK.
That's how you can enable remote desktop on your Windows 10.